In this post we discuss recent news on scrapping 11+ by The North London Independent Girls’ Schools Consortium and why, in our opinion, it will not help reducing pressure on children. A consortium of top London girls’ schools recently announced the end of 11+ testing for applicants in Year 6, citing the damage done to the children’s mental health by excessive tutoring for the test. The North London Independent Girls’ Schools Consortium, which consists of some of London’s best schools, including Highgate’s Channing School and The Godolphin and Latymer School in Hammersmith, said that from 2019 the 11+ will be replaced with ‘un-tutorable’ cognitive ability tests, in a bid to ease the pressure on children and create a level playing field between those who receive tutoring and those who cannot afford to pay for it. The move by the NLGSC has brought the impact of tutoring on children’s mental health to the forefront of the debate in independent education, but does tutoring really hurt children more than it helps them? Over the past two decades children’s poor mental health has become a significant issue in the UK. NHS statistics show that more than a quarter of a million children now receive mental health treatment, while a recent report from the Children’s Commissioner suggested up to 800,000 young people suffer with mental health issues. Greater visibility and higher rates of diagnoses are certainly a factor in the large numbers of young people now coming forward with mental health problems, but a raft of social and environmental changes over the past 25 years have also contributed to rising levels of mental distress. Any attempt to release children from the pressures of life in the 21st century is admirable, and Mrs Elphinstone surely has a point. Of the thousands of children that take the 11+ for independent schools each January, the majority do not receive a place at their first choice school, while the damaging impact of being branded a failure – ‘proven’ by one’s 11+ result — was one of the main reasons behind the abolition of the grammar and secondary modern state system in the 1970s. 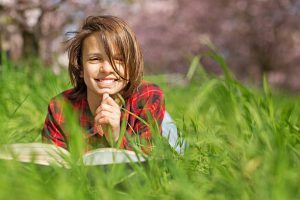 However, it’s contestable that tutoring is generally ‘damaging’ to a child’s well-being; the truth is that when done well tutoring is precisely the opposite, and can help a child to feel more confident in the classroom. Mrs Elphinstone argues that tutoring is a ‘waste of time’ because of the psychological stress it causes. This can certainly be true; overloading children with lessons – to the point that they have no time to relax – is not conducive to their happiness nor, in the long run, to their work ethic. Likewise, berating children for not scoring highly enough is not going to do anything to improve their marks. In most cases, though, this isn’t what tutoring looks like. A decent tutor will prioritise support above results, in the knowledge that tutoring is only valuable if it makes the pupil happier. 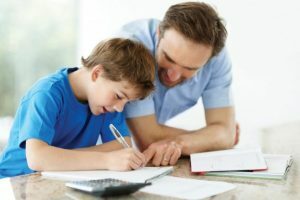 Poor marks will be met with encouragement, not blame, and if a tutor feels that their pupil is being overworked, they have a responsibility to communicate that view to the parents. A further part of Mrs Elphinstone’s reasoning assumes that parents and tutors are constantly emphasising the importance of the 11+ exam and how to fail it would be a disaster. This unfortunately does happen, but many tutors and parents will take the sensible step of emphasising to their pupils that while they are preparing for tests, success in those tests is not the be all and end all – they are simply a stepping stone, and the first exams of real importance happen at 16 with GCSEs. Some parents way wish to withhold from their children the idea that the 11+ exams can be ‘passed’ at all, instead simply telling them that they will be taking some tests at other schools but that doesn’t necessarily mean that they are going to be going to that school. 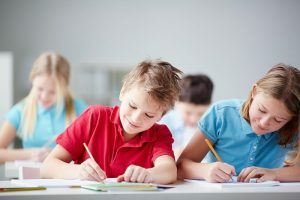 Minimising the importance of exams when discussing them with children is an effective way to neutralise the additional pressure that comes with taking tests, and many parents know this. Then there are the actual academic benefits of preparing for the 11+. The 11+ is a demanding test that includes maths puzzles of an almost-GCSE level, analysis of difficult texts (often taken from Victorian literature), creative writing and verbal and non-verbal reasoning puzzles that can cause problems for adults. 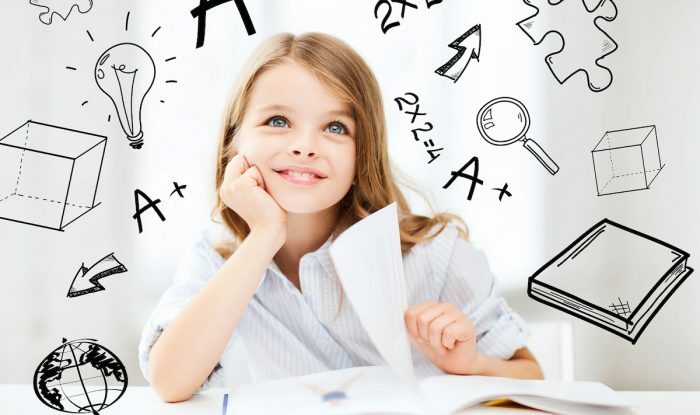 Children that are tutored for the 11+ mathematics test receive reinforcement in basic concepts such as fractions and percentages that will serve them all the way to GCSE and beyond. They are tutored not only for the test itself but for the classroom, where the benefits of tutoring include higher marks, greater confidence and generally taking more from their lessons than they might otherwise. In short, tutoring helps them generally, not just for their tests. The same is true of English, where a tutor will introduce them to a style of textual analysis that they will have to do at Common Entrance, GCSE, A-Level and undergraduate level. This will not only inform their creative writing but also help them to get more from their casual reading. Can these benefits really be called a ‘waste of time’? What’s more, the idea that by removing the 11+ will stop children being tutored is erroneous; parents will still hire tutors, no matter what test the schools provide. 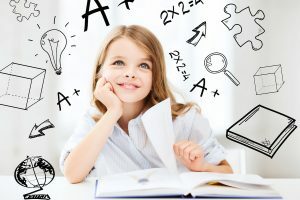 The Consortium has said that they will replace the 11+ with standardised verbal and non-verbal reasoning tests, and while it is true that these are much harder to tutor for, there are still hundreds of practice books out there, with parents regularly employing tutors to help with verbal and non-verbal reasoning. What’s more, by removing the mathematics exam and instead relying on what is effectively a vocabulary test, middle-class British children will be put at an advantage at the expense of capable foreign-born pupils or those from poorer backgrounds. The sad truth is that removing the 11+ is not going to stop overbearing parents from putting pressure on their children. The pressure will still be there, but it will be channelled either into general lessons or into tutoring for whatever test replaces the 11+. Selective schools will always have to deal with the fact that parents will try to give their children an advantage. What is needed instead is education for parents about the dangers of overworking their children, greater communication between schools to make it more likely that candidates are offered a place at at least one of their choices, and a concerted effort by all educators – and particularly in the tutoring industry – to call out abuse (and overwork is abuse) when it occurs. 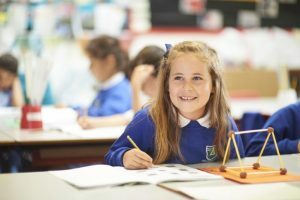 When it comes to preparing for the 11+, tutoring can be incredibly valuable, providing children with skills that will benefit them throughout their careers and boosting their confidence at school. There is no question that it can contribute to the overwhelming pressures children face in the 21st century – but it doesn’t have to, and can instead help children feel more resilient and capable, rather than less.